Are you ready to dig for gold in the wastes of California? NextGen Gaming online slots offer you this chance in California Gold casino slot game. Grab your pickaxe and let’s hit the road! 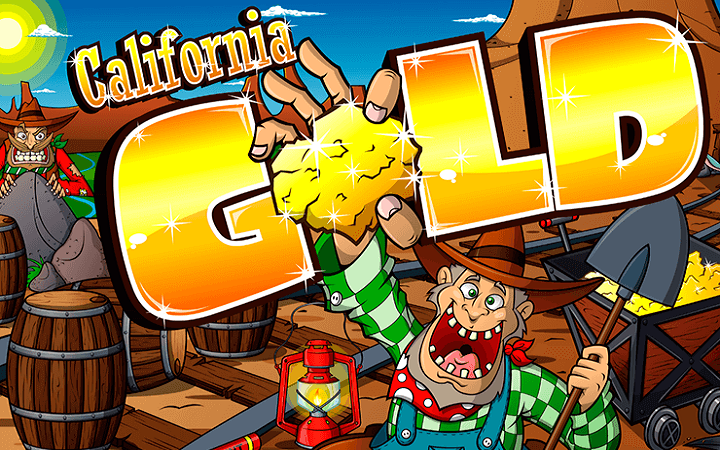 California Gold online slot game by NextGen Gaming has simple graphics and a basic ruleset, but this is normal for its category: this is a classic, medium variance slot game. The game has 5 reels, 3 slots and 20 pay lines. The game doesn’t have low-valued symbols (numbers and letters), this is a plus. There are ten symbols in total and all of them are shown with theme related pictures, such as pickaxes, dynamite sticks, carts filled with gold and a gold mine. These symbols pay between 5 and 5.000 coins – a very wide range. We also have wild and scatter as for the special symbols. The wild symbol is shown with the picture of a lucky miner and appears only on reels 2, 3 and 4. It substitutes all other symbols, and when appears on reels 2, 3 and 4 at the same time, activates the bonus round. The round is called “Mad Miner Bonus” and asks you to choose a mining path – each path contains gold nuggets and if you manage to collect them all, you get extra coins. Scatter symbol is shown with a picture of a gold nugget. When three scatters land anywhere on reels, you get 10 free spins. During the spins, all multiplier values increase up to x3. (This feature can get re-triggered.) 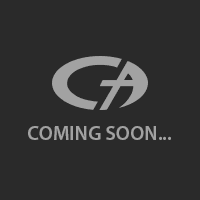 Lastly, we have the “gamble” feature. After landing a winning combination, you can choose to play a mini game. In the game, you are asked to guess the color or the suit of a face-down play card. You can double or quadruple your winnings if you are lucky enough. The free slots no download version of the game has a demo balance of 1.000 coins, and the maximum bet value is 40 coins – in other words, you can play as long as you want. The coin value range of the game is between 0.01 and 2.00 coins per spin. You can save this one for the rainy days; the game is good enough but offers nothing new. Play at Casino Avenue to fund your own gold mine!